What is there to say about the Acura RLX? In the nearly two years we have had it, it has been reliable, comfortable, and an overall pleasure to drive. Sure, the RLX has had its share of problems, mostly involving recalls, but as with all new models in their first year, we anticipated these growing pains. The only complaint I have about the car is that it does not get utilized quite enough in our family. Two years, and we have only just broken the 10,000 mile mark. Considering the lease agreement attached to this car, Acura Financial clearly believes that we should be approaching the 20,000 mile mark within the next few months. Clearly, that is not going to happen. I would actually be quite surprised if we even reach 20,000 miles by the time we need to return the car next year. What I would like to do this time is to focus on the rear seating area of the RLX. As I usually spend my time driving solo (whether it is my own car or in the RLX), I do not get to spend a lot of time in the back. When I do though, I really enjoy it in the back. The RLX is the first car our family has had where I feel like I can truly stretch out my legs, and do not mind sitting in the back. I actually find it to be far more comfortable than sitting in the front passenger seat. 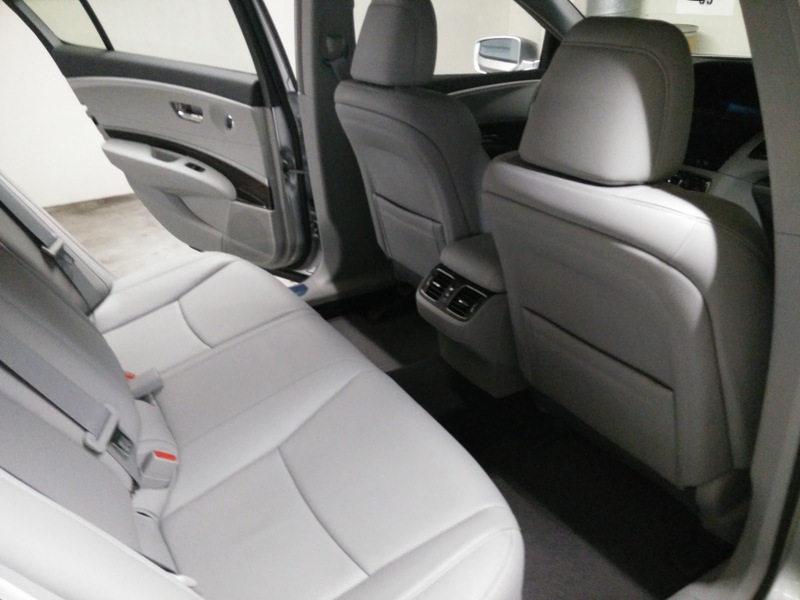 The large amount of room available in the rear seating area makes it feel like the RLX should be a car where you would hire a driver to shuttle you around in. Then again, when was the last time you heard of anyone hiring a driver to shuttle you around in an Acura? 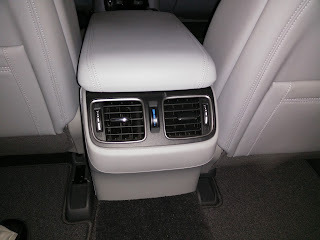 Image issues aside, this is definitely one of the most comfortable rear seating areas I have experienced in a long time. 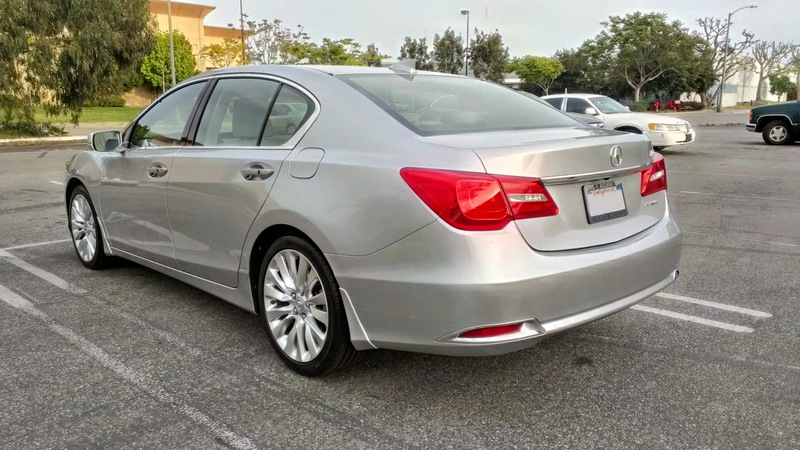 As comfortable as it is in the back of the RLX, it is not without its faults. 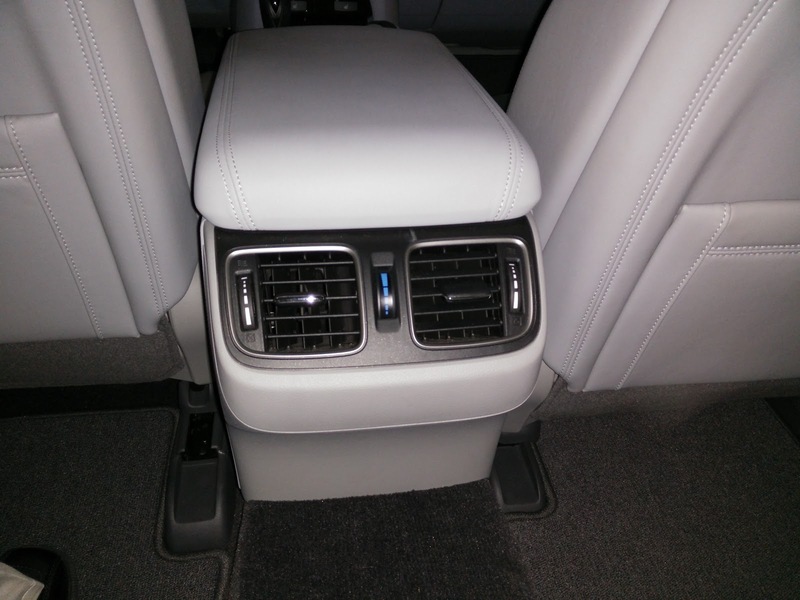 For a car in its price range, I would have expected the rear vents to have their own climate control console. Acura saw fit to include it in the MDX, so why not the far more expensive RLX? Then there is the fact that while cars like the Hyundai Genesis include sun shades in the rear as standard equipment, you are not getting them in the RLX without upgrading to at least the trim level with the Krell sound system. This actually bugs me quite a bit as sun shades used to be standard equipment across all trims on the RL. As comfortable as the seats are, it does make it a little difficult to sleep in the back with the sun beating down on you. What we are missing now is a proper road trip with the RLX. We still have a little more than a year left on the lease, so hopefully that will come soon. By now, unless you literally live under a rock, you must have heard about VW's scandal over its diesel engines cheating on emissions tests. In case you were indeed under said rock, the VW 2.0L disesel four cylinder motor was found to have different tuning in the test mode used to perform emissions testing. That different tuning was used to reduce NOx emissions to within spec to pass emissions tests, but was not reflective of how the car actually performed in the real world. According to VW, forcing the car to run on the tune that passes the emissions tests also drastically reduces the fuel economy and performance, which are the only real reasons anyone buys diesel in the land of heavily subsidized gasoline that is America. Of course, VW is now feeling the pain of this scandal, having suffered a huge hit against its stock in global markets as well as having to shake up a sizable portion of its senior leadership, including the resignation of CEO Martin Winterkorn (although he may get a big golden parachute so don't waste your tears on him). With numbers already struggling in the US and diesels accounting for a rather surprisingly large portion of VW sales here, this scandal could not come at a worse time for the company. But the real damage has only just begun. Editorial: Why do Responsible People Have to Suffer Due to the Stupidity of a Few? Keyless ignitions are starting to become the norm in more and more cars these days. Is it a necessary technology? Probably not. We have survived decades without keyless ignitions by simply sticking the key into the ignition and turning it. As technology advances though, keyless ignitions, and their wireless key fobs, are soon going to replace the good old fashioned keyed ignition in short order. Is this going to end up being a problem? For some, it apparently already is. Those of us that keep up with the latest news in the automotive world have probably already heard about the lawsuit against 10 automakers over keyless ignitions. The reason behind the lawsuit? Apparently the plaintiffs claim the system is dangerous because drivers, for whatever reason, believe the engine is supposed to automatically shut itself off after leaving the vehicle. Because engines do not shut themselves off, a car parked in a garage can cause carbon monoxide build up, leading to carbon monoxide poisoning. The plaintiffs are asking auto manufacturers to implement an auto shut-off feature on all cars and are seeking damages from the 10 automakers listed in the suit. Also of note, the lawyers working with the plaintiffs are seeking class action status from this law suit. 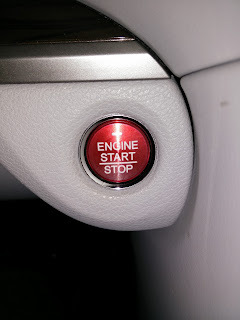 I have been around keyless ignitions since 2004, when my folks brought home their 2004 Acura RL. At the time, keyless ignition was very uncommon, and Acura was one of the first companies to implement it into the second generation RL. Since then, at least one vehicle in our household has always had keyless ignition, and not once did my parents, myself, or East Brother ever make the assumption that the engine would shut itself off when we left the car. Why? First off, the sales people we worked with never once mentioned "auto engine shut-off" as a feature. Two, at least one person in our family does what I like to call "RTFM," which is short for "read the f***ing manual," when we get a new car. In all of the cars with keyless ignition my family has owned since 2004, not once in any of the manuals does it ever mention that the engine will automatically shut off if you leave the car. But OK, let us say that you do not believe that the engine automatically shuts off, but you forget to shut the engine off. For starters, all cars with keyless ignition systems have a warning system if you are about to leave the car with the engine still running. This could range anywhere from a series of beeps and squawks to the car straight out honking at you. The noise is often times supplemented by flashing lights for those that need visual cues along with the audio ones. If all else fails, let us not forget, THE ENGINE IS STILL RUNNING! If you are driving a conventional gasoline or diesel powered vehicle, you will most likely still hear the engine running when you exit the vehicle. That alone should be your first indication that you forgot to turn the damn thing off. "Oh, but I drive a hybrid or electric vehicle, so I won't hear the engine." For starters, if you drive an electric, what are you complaining about? Your car does not produce carbon monoxide. At most, you will end up with a dead battery when you go to start your car again. As for hybrid drivers? Just listen for the audio cues basically screaming at you to turn the damn thing off. To me, this whole situation screams of "cash grab." For as long as keyless ignitions have been available, never has any manufacturer claimed that their car will automatically shut off if you leave the vehicle and walk a certain distance away from it. In the past, before keyless ignitions, most people were smart enough to remember to shut off the car and take the keys with them. Why is it that as technology becomes more advanced, people seem to become more and more careless and stupid? And why is it that the careless and stupid ones are always the most vocal ones? Update: As promised, I took the bike out for a ride and ended up doing 36.6. miles. Next Tuesday, September 22, is World Car Free Day where people from around the world have pledged not to use their car and take alternative forms of transportation instead. Ride your bike or take public transit to work. Walk to the grocery store or to grab your lunch. Take a stroll or bike ride after dinner to enjoy the evening air. This is an opportunity to experience the transportation options that are available to you in your area and gives you a chance to see how others, especially those who do not have access to a car, get around. It is also a chance to see just how much of your day to day driving is truly necessary. I have the good fortune of having a job that allows me to work from home, which means my commute consists of rolling out of bed and stumbling over to my desk. 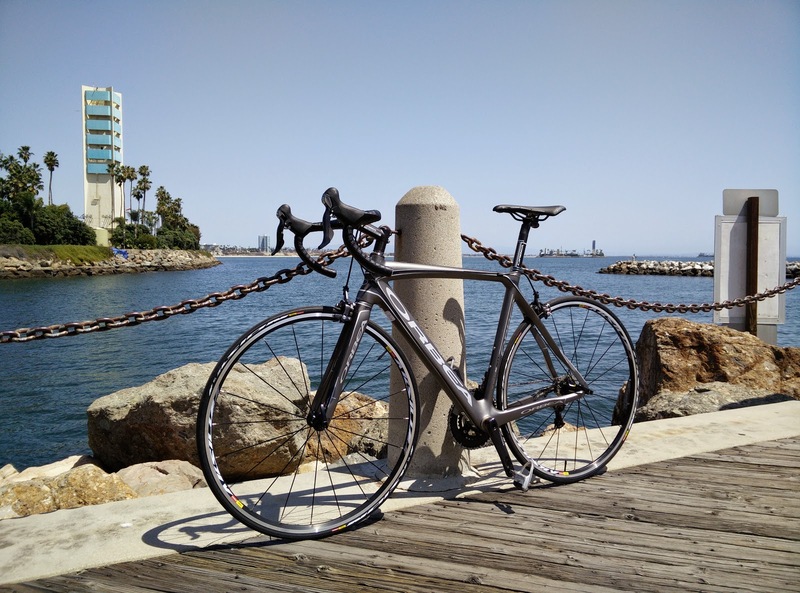 However, since according to the US Department of Transportation's Bureau of Transportation Statistics the average American has a one-way 26.4 minute commute with an average distance of 15.3 miles, I am committing to jumping on my bike and riding in solidarity with my fellow commuters. That means over the course of the day, I will need to ride just under 31 miles. As proof, I will track the ride on Strava and share the data. What about you, dear reader? Will you commit to giving alternative transportation options a chance next Tuesday? Take the pledge and share with us what you plan to do to celebrate World Car-Free Day. The modern iteration of the Critical Mass ride is over two decades old and started off as a way for cyclists to gather and assert their rights to use the road. It started out as a small ride in San Francisco but has grown into a rowdy and chaotic protest that takes place worldwide. With no leadership to speak of and no real hierarchy or formal organization, there is little effort to work with proper channels or the authorities to do things in a safe, much less legal, manner. That has caused the rides to become not only controversial for their lack of adherence to traffic laws, but have also resulted in numerous collisions or other traffic incidents where riders were injured. Motorcycle helmets are not something one replaces very often. Safety standards are periodically updated, but those happen so rarely that one can safely wait for the expiration of the helmet before making a change. Yes, for those of you who were not aware, motorcycle helmets come with an expiration date. It is the glue that bonds the EPS foam layer to the shell that, through exposure to the elements during riding, begins to break down and typically five years after production it is recommended that the helmet be replaced. For me, that date arrived earlier this year. My trusty Bell Star, that had served me well for some four plus years, was in need of replacement. Everything about the Star was fantastic, from the quality of the build to the real metal accents to the way it fit my oddly shaped head. The only thing that ever bothered me was the noise, which as a result of being designed to be a racing helmet was not as critical a consideration. 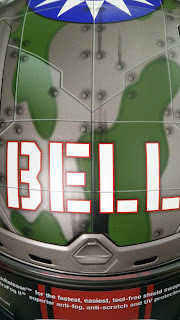 So now that I was in need of a new helmet, I once again turned to the Bell line-up and selected a helmet I had been eyeing for a long while. 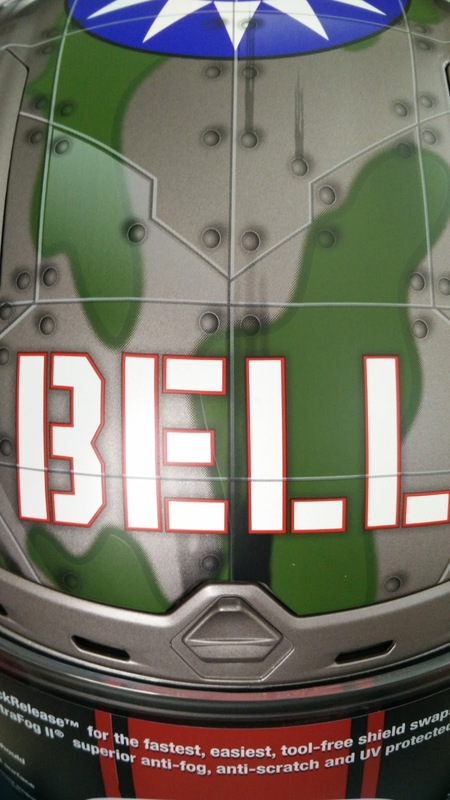 Allow me to introduce my brand new Bell Vortex motorcycle helmet. As cars have become more sophisticated, largely becoming rolling computers that are increasingly able to take over many of the tasks of the daily commute, so too have the thieves who steal them. In the old days, car thieves relied on mechanical tools like slim jims, screwdrivers, and pliers or sometimes just brute strength to break into and hot wire a car to steal it, but nowadays, with most cars using push button starting or some form of rolling code immobilizer, some much more sophisticated equipment is required, or so we thought. Clever hacker Sammy Kamkar has created a device, costing about $30, that is not only capable of allowing someone to steal your car, but also allows them to open your garage door so that they can get at your car in the first place. 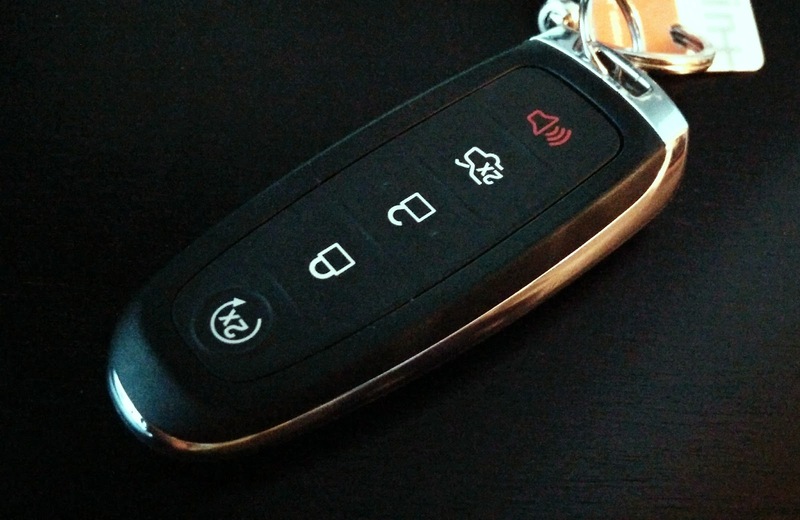 Known as RollJam, the device jams and intercepts radio signals to allow an unscrupulous car thief the ability to acquire a valid code from your vehicle or garage door remote. The way it works is actually quite clever. 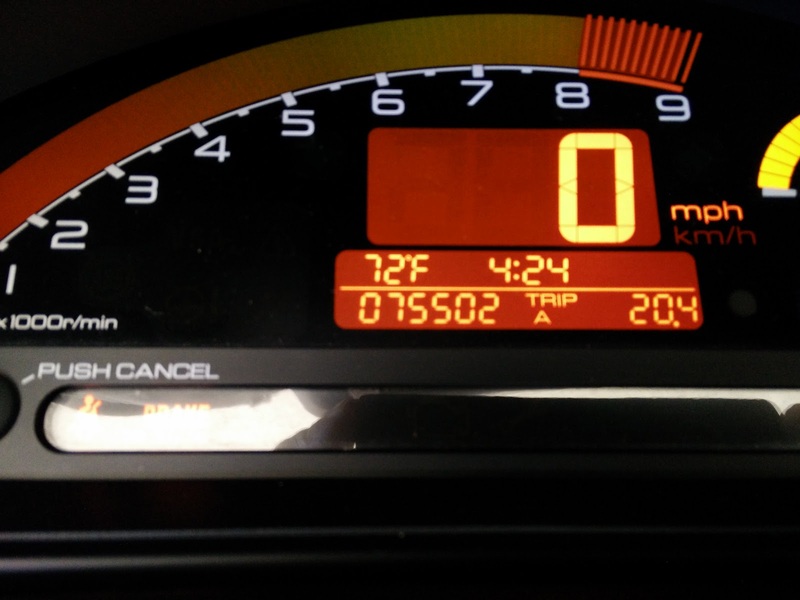 After five years of ownership, my 2007 Honda S2000 continues to perform beautifully. However, during the time between this post and the last, an old problem popped up again that makes me wonder if my car has a mind of its own. Back in late 2011, my clutch pedal began squeaking. This is usually an indication that the clutch slave cylinder is leaking and is about to die a horrible death. Unfortunately, I was far too busy at the time to be able to go without a car so I could not give it the attention it required. That was probably a bad decision as in early 2012, my clutch pedal completely lost all resistance and was only being held up by the spring attached to the pedal. Without any resistance, shifting gears nearly became impossible. Thankfully, this happened near home so I was able to limp my car to the local Honda dealer where I learned that my car's clutch master cylinder had failed as well. Having no choice, I left my car with the dealer for a day and received it back the following day completely fixed. Fast forward to earlier this year, the squeaking returned. I thought to myself, "there is no way in hell these components were designed to only last three years, right?" Concerned, I took my car back in to the local Honda dealer. The service rep who helped me looked up my car's records and was also shocked to learn that my car's clutch slave and master cylinders were only replaced a mere three years ago. Strangely enough, when the service rep sent a tech out to drive my car, the squeaking vanished. After doing a visual inspection of both the master and slave cylinders, the tech noted that he could not find any leaks or damage to either cylinder. Confused, I went to pick up my car, and as I started it to drive away, the squeaking returned. "Of course it comes back now," I thought to myself as I drove away. As of a month ago though, the squeaking mysteriously vanished on its own. I swear, my car must have a mind of its own. shooting pistols, East Brother (on his BMW K1200S) and I drove out to the local back roads for some canyon carving. I really cannot get enough of driving my car in its element. The sound of the engine, the feedback from the steering wheel, and the sensation of perfectly timed gear changes all added up to an amazing afternoon of driving. It is getting the opportunity to drive on these kinds of roads that make me think, "man, I am really glad I bought this car!" Of course, my brother and I will have a full article and videos of our trip in a later posting. 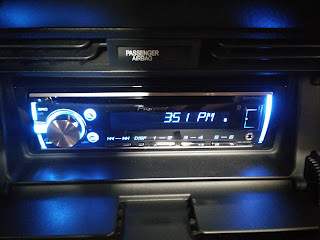 Other updates regarding my car include the recently replaced radio. 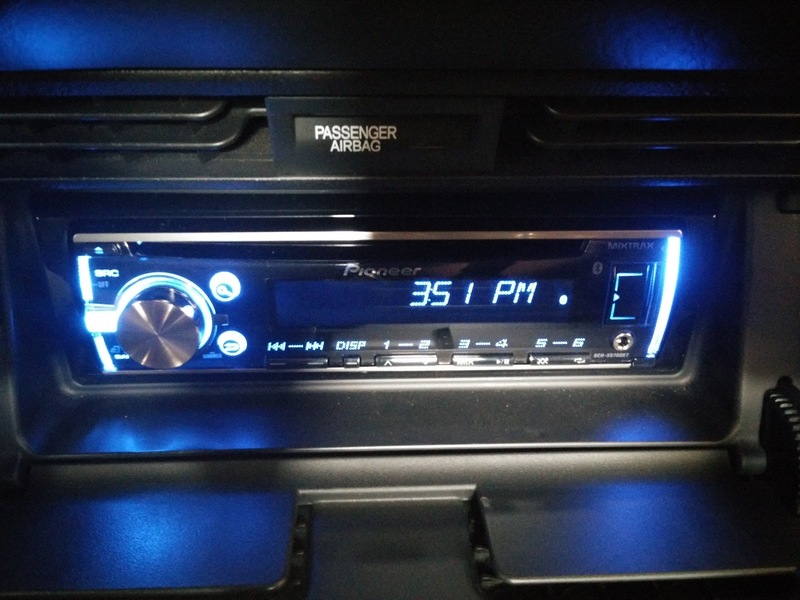 I replaced the factory radio in my S2000 with a Pioneer unit with both Bluetooth audio capability and hands free phone operation (you can read the full review of the radio here). So far, I have been pretty satisfied with the radio, and it is nice having to only carry around my phone instead of both my phone and iPod. I do miss being able to use the radio buttons to the left of the steering wheel, and it does bother me a little that the included remote does not work when the radio cover is closed, but those are minor issues I can live with. Admittedly, as I get older, the thought of getting a daily driver to replace my S2000 comes across my mind more frequently. As I am sure I have mentioned many times, the S2000 is a fantastic handling and sounding car, but can be a bit rough for the daily commute. My hope is to get something more pedestrian, like a Honda Accord or Volvo V60, while the S2000 gets relegated to weekend "fun time" use. Unfortunately, without a space to park a second vehicle right now, a second car will have to wait. 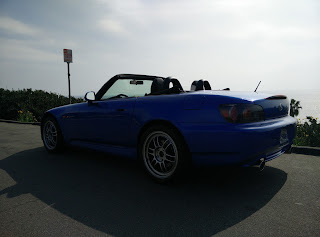 Besides, living by myself, the S2000 is more than adequate for my needs, and you get a lot more smiles as you drive around town in a convertible roadster rather than a pedestrian people mover.